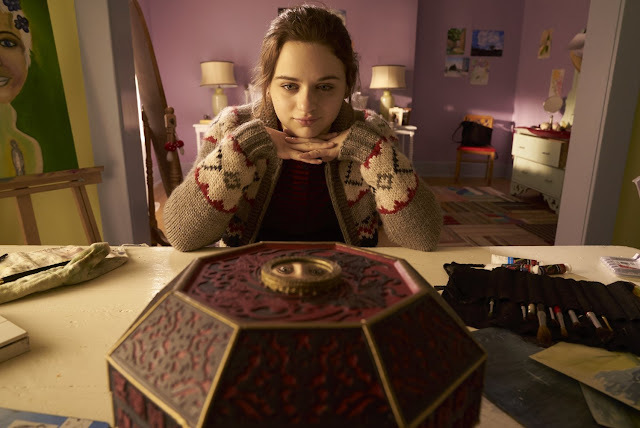 Wish Upon was a film that I have wanted to see since the end of summer 2017, when the little known horror film had a somewhat lackluster run at the summer box-office.  Recently on our run on red box as my wife Abby, and I enter month 7 of our pregnancy for our baby girl: Harper, I finally got my wife to sit through a horror movie for the first time since Halloween 2017. That film was the procedural horror film: Wish Upon directed by: John R. Leonetti. *Mild spoilers for Wish Upon follow! Wish Upon has a very simple premise resulting in what would best be described as horror meets procedural. Claire Shannon (Joey King) finds a Chinese wish box that grants her 7 wishes, but with each one comes a cost in the form of the loss of loved ones, and potentially her soul. 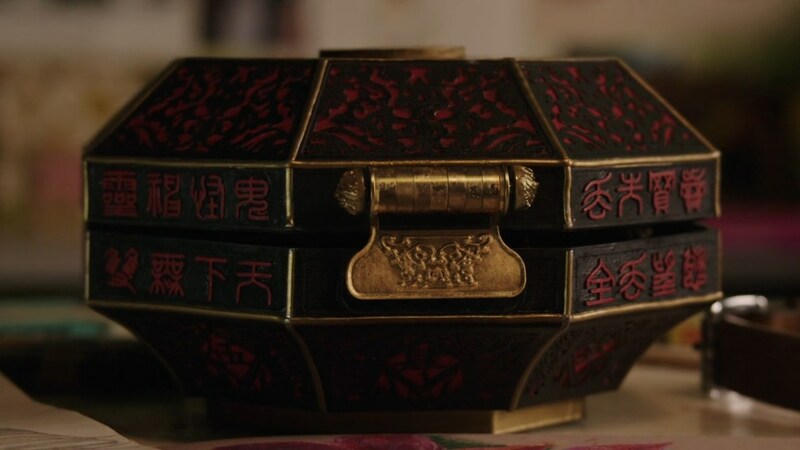 This film is just good enough to tread above generic; there are elements of the film such as King's performance or the aesthetic of the Wish Box itself that elevate the film. However the ultimate result is a somewhat predictable progression of the story that prevent the film from becoming anything just beyond forgettable. The audience is subjected as Claire wishes for the most selfish material items that life has to offer such as love, fame, money, and popularity. While there were points that this was border line unbearable, these are probably the most realistic things a high school student of Claire's average social status would most likely wish for. As that chaos ensues however the audience is exposed to meaningful kills that give the first two Final Destination film's (The Good Ones!) a run for their money. Overall Wish Upon will be a must watch for horror fans; at least on home video, while probably failing to resonate with any others group beyond that!